New Carolina Panthers owner David Tepper said it’s “dead wrong” to accuse NFL players of being unpatriotic should they choose to protest during the national anthem. In an interview with CNBC’s Scott Wapner Thursday in Pittsburgh, Tepper was careful not to mention outright the name of President Donald Trump, who routinely slams NFL players who protest police brutality and racism during the national anthem. Kneeling during the anthem is a practice started by former NFL quarterback Colin Kaepernick at the start of the 2016 season. People should focus on what NFL players do in the community instead of what they do during the national anthem, Tepper added…. In the past, Tepper has been, as Wapner noted, “exceptionally critical” of Trump. 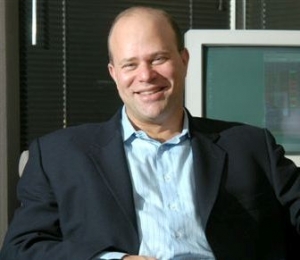 Before the 2016 election, for instance, Tepper slammed then-candidate Trump for failing to donate to relief efforts after disasters that struck New York, including 9/11 and Hurricane Sandy, despite claims by Melania Trump that her husband is generous. “Trump masquerades as an angel of light, but he is the father of lies,” Tepper told CNBC at the time. Tepper went on to note that “justice for all,” is what fans should be focusing on. Go Dave – give ’em heck!